Calling all South West based bloggers! 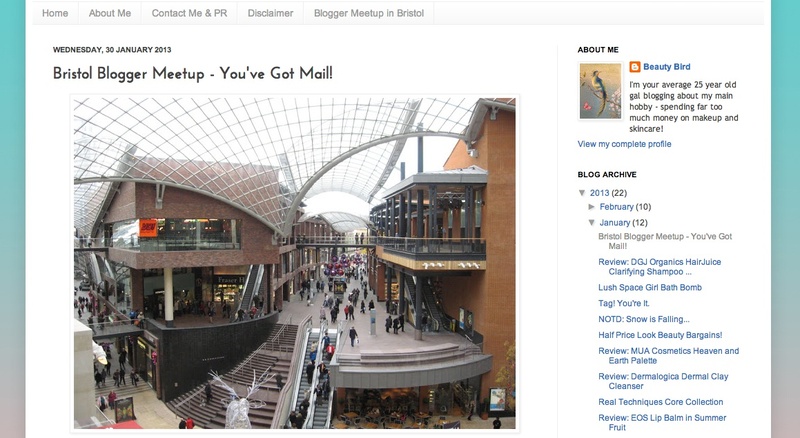 This weekend is the Bristol Blogger Meet, taking place on Saturday at Cabot Circus. Sasha and Alessia are hosting the do, which kicks off at Frankie & Bennys (at the top of Cabot Circus) at 11am, before some retail therapy and cocktails later on. 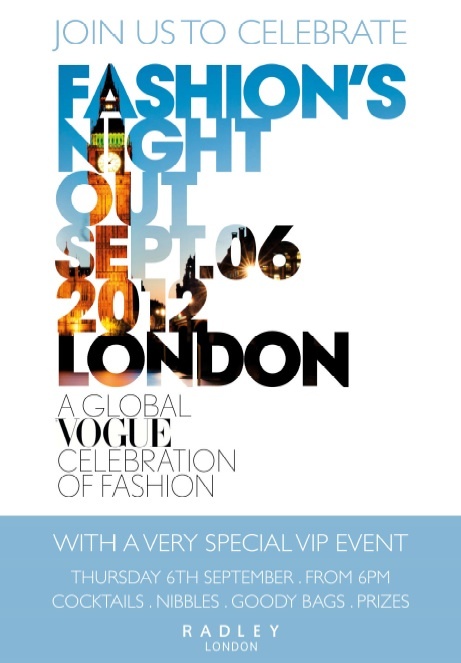 I think tables have been pre-booked but if you want to come along just let them know, or follow @bb_meet for details. 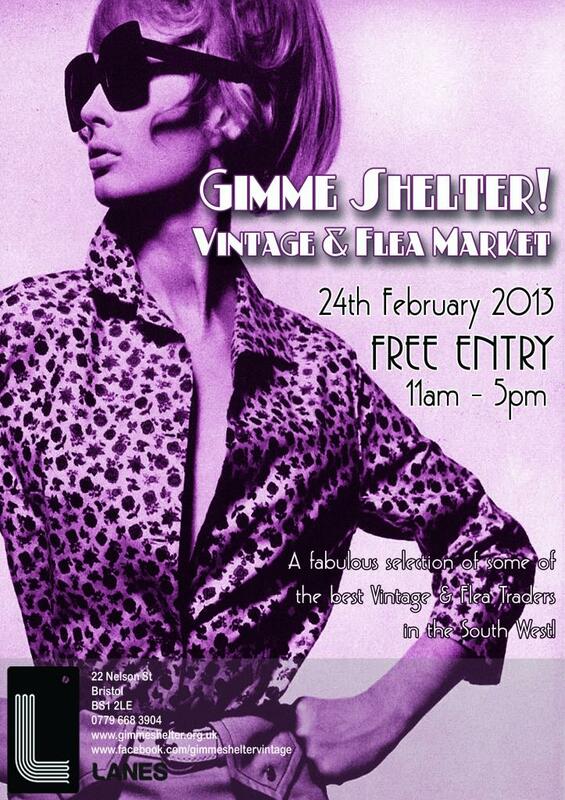 After a Christmas break, the Gimme Shelter Vintage Fair is back at The Lanes this Sunday. 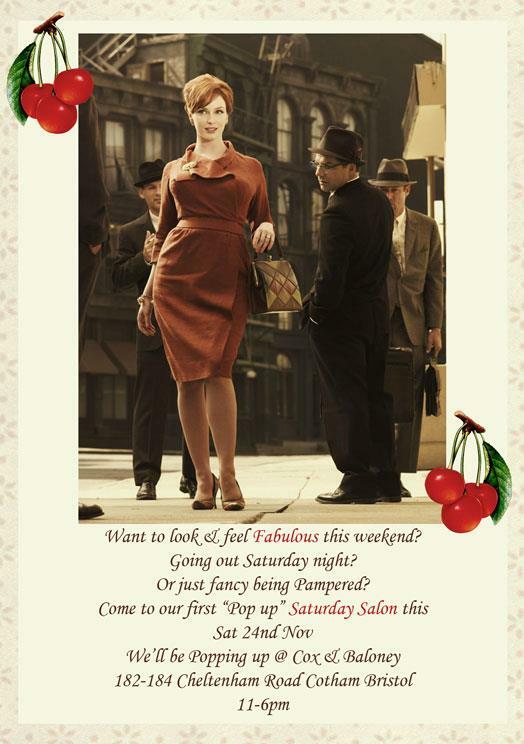 Open from 11am till 5pm, the event is free but get there early to ensure you get the pick of the vintage bunch. 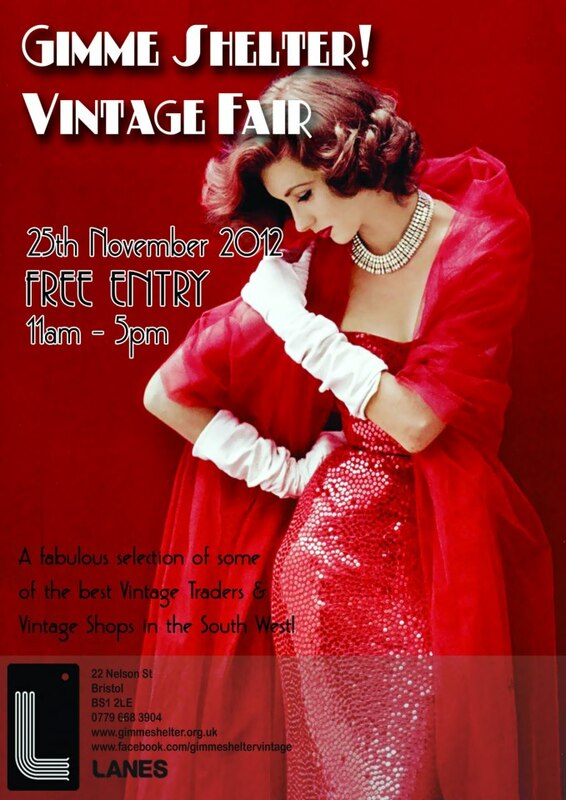 Vintage bags, fabric and clothes guaranteed, as well as goodies from local designers and boutiques. It’s very nearly the last weekend before Christmas – eek! 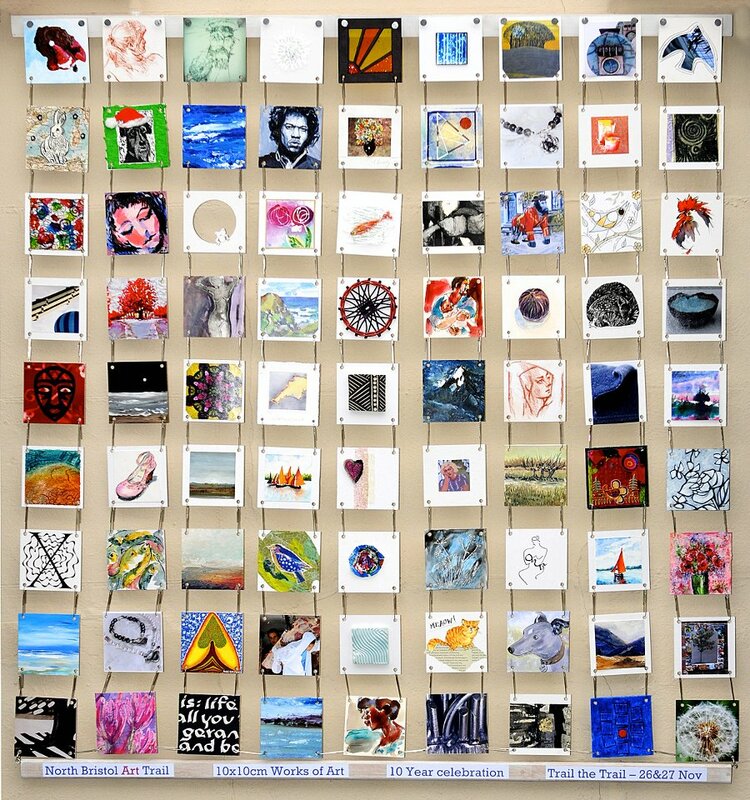 If you’ve finished your Christmas shopping (lucky you!) but need a hand with pimping up your presents, the lovely Making Things Club are on hand to help. This week their pop-up shop in Cabot Circus has been running wrapping workshops, and there are slots available tomorrow (Friday 21st) throughout the day. The event is free but booking is a must – email making.things.club@gmail.com or pop into the shop to book your place. This weekend is your last chance to visit the Bath Christmas market before it closes on Sunday. I visited it with a few friends at the start of the month and it was heaving, so I recommend arriving early and catching the train unless you want to face looking for a parking space with hundreds of other Christmas shoppers! Stalls include foodie treats, Elise Belle jewellery, festive decorations, art, homewares and more. The folks at Cabot Circus are laying on a festive spread of treats tonight across several stores including House of Fraser, Sanctuary Spa (my new favourite place) and Harvey Nichols. Christmas Party SOS kicks off at 6pm and free Creme de la Mer mini facials, Benefit brow waxes and makeovers will be available, with discounts and the odd glass of mulled wine thrown in for good measure. There is lots going on on Saturday, so I’m going to take a deep breath and tell you about it in one long sentence Ready? Bristol Folk House are hosting a Christmas flea market kicking off at 10am on Park Street, Doc Martens in Broadmead are hosting a FREE customisation day which sounds epic (see above), the quirky Bristol-based furniture brand Dig Haushizzle have their first weekend of trading in their new shop on Colston Street, and Woodlands Church in Clifton is hosting their Christmas Craft Fayre in a crypt! Phew, think that’s about it! Check out the links for more information. 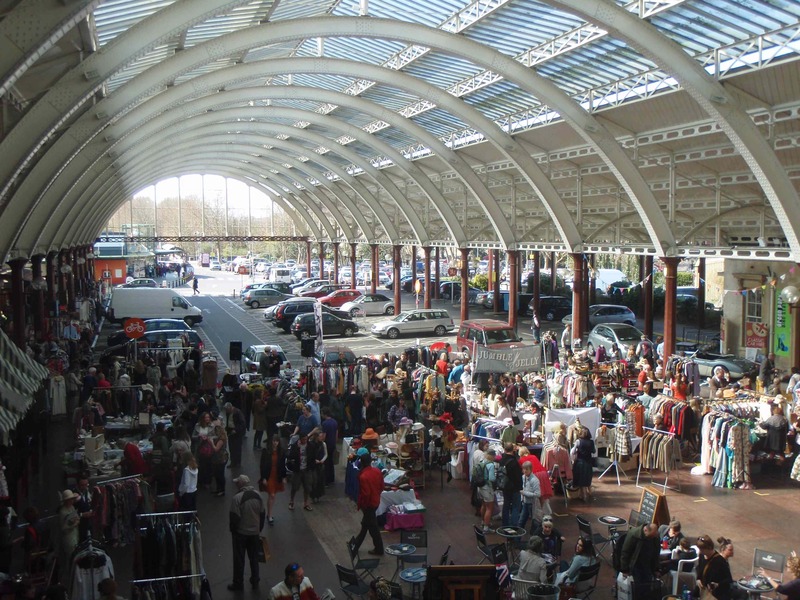 Oh, and if you want to do something amazing for someone else this weekend this Christmas then check out The Rucksack Project, which is hosting a flash mob in the Bear Pit (between Primark and Bristol Bus Station) on Saturday. Bristol’s finest music festival returns this weekend to it’s spiritual homeland; Ashton Court. Brisfest promises a weekend of music, art, comedy and theatre, all against a backdrop of rolling hills and fields of deer at Ashton Court Estate. 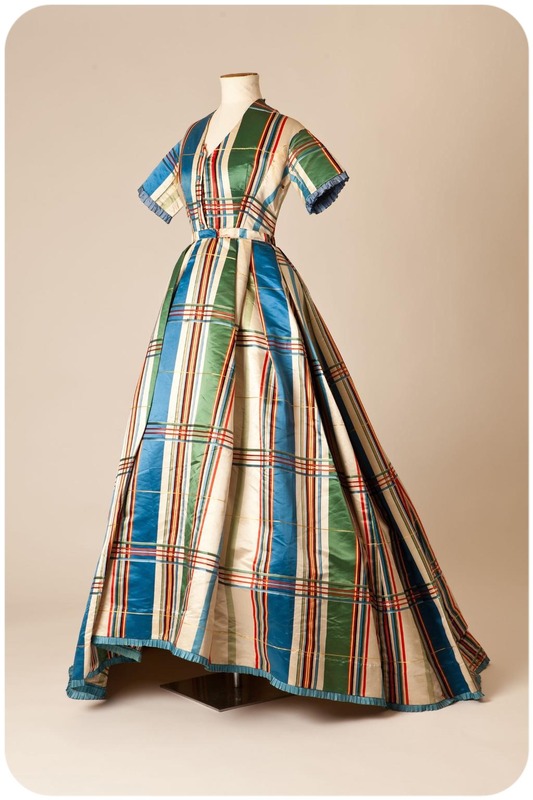 I’m gutted I won’t be around on Saturday as I’m going to the Oxfam Fashion Blogger Meet, but I highly recommend you get your tickets now if you haven’t already done so. 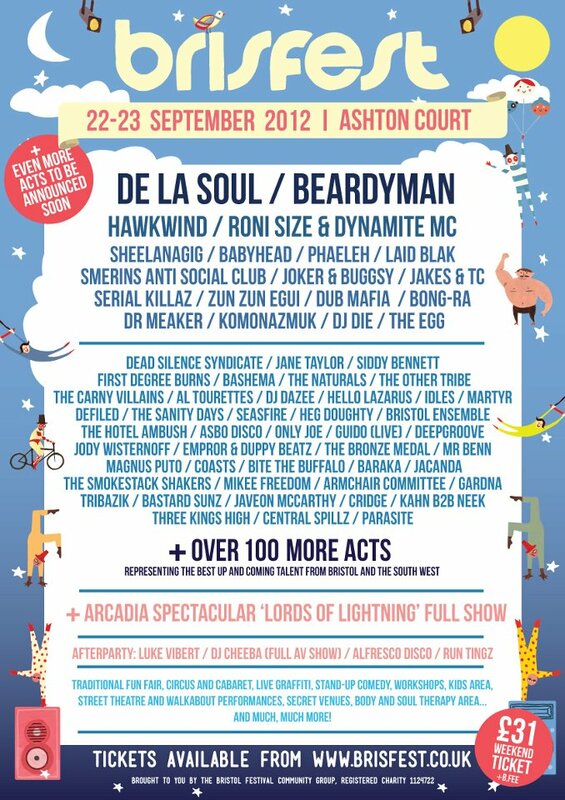 Tickets are selling fast and the line-up includes De La Soul, The Other Tribe and Babyhead. As well as music you’ll be able to find live graffiti, circus and cabaret acts and stand-up comedy. If you’ve already bought your ticket then you’re sorted, but for those of you who still haven’t parted with your cash, remember this: tickets can ONLY be purchased in advance – there won’t be any tickets available on the gates! Buy online here or call for tickets on 0844 870 0000. 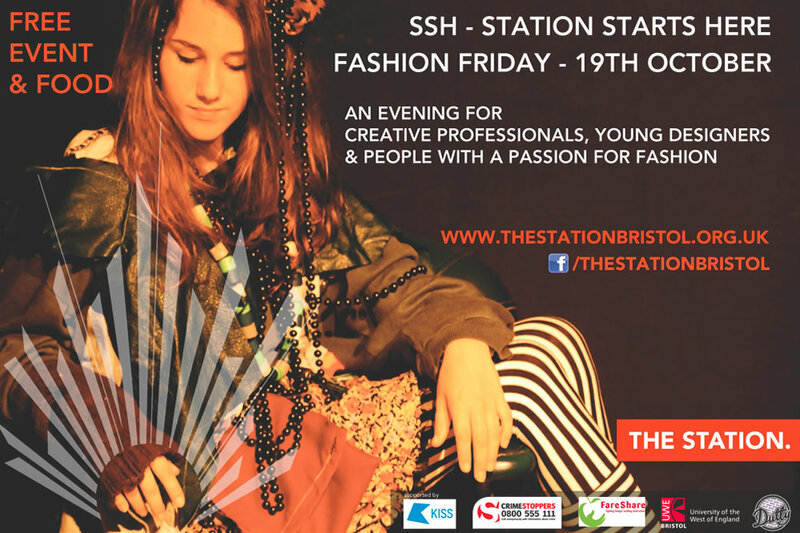 This Friday the Bristol Folk House will play host to a fantastic fashion show showcasing Bristol’s best independent boutiques all in the name of charity. 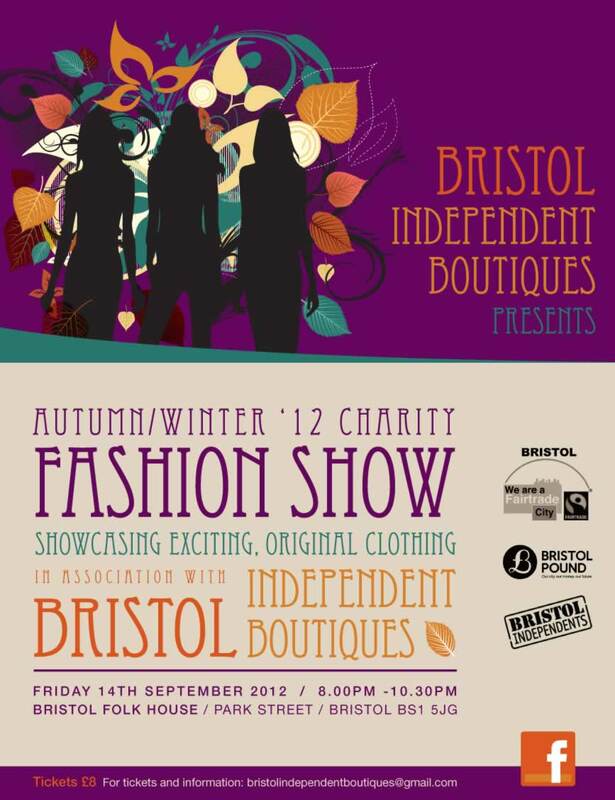 Bristol Independent Boutique’s A/W12 Charity Fashion Show promises an evening of local and original talent and a host of indie labels. 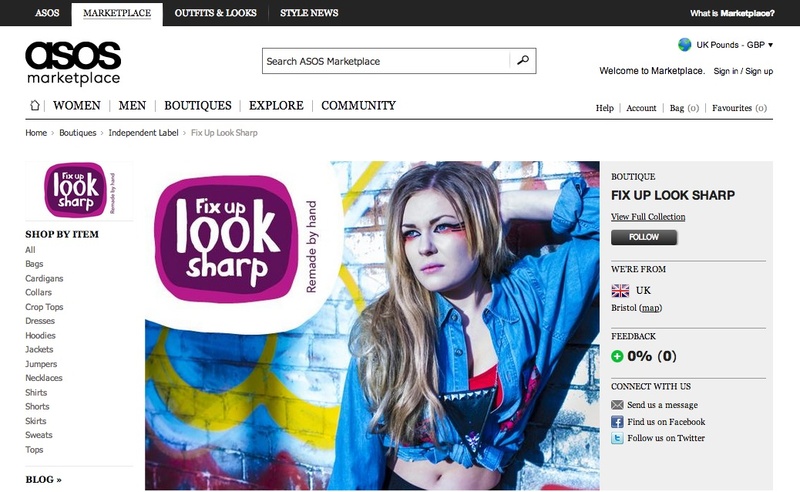 Labour Behind the Label are the organisation that will benefit from the profits – you can read an interview with the Bristol-based charity from the Ship-Shape archives here – and boutiques and labels taking part include Cox & Baloney, Fix Up Look Sharp and 71 & Queens. Entry to the event costs £8 and there are still a few tickets left, so check out the BIB Fashion Show Facebook page for more info or purchase your ticket here. There are also a number of tickets available from the boutiques taking part, including Portobella on Cheltenham Road and Shop on Gloucester Road.